The teen years are a highly transitional phase. Teens confront distinctive thoughts, feelings and challenges as they move through this personal change. At Polaris Counseling, we understand what teens struggle with as they explore who they are and define their place in the world around them. We recognize your concern and struggles as a parent as well. Your teen might be caught in the middle of a divorce, or he or she might be battling depression, anxiety or substance abuse. Family issues, school problems, self-esteem issues and acting out can be other common signs that something’s wrong. Polaris Counseling provides caring and attentive teen counseling for Oswego (IL), Montgomery (IL) and Plainfield (IL). We are a group of fully licensed counselors and social workers. Our goal is to work with you and your teen toward a better understanding and resolution of the problem. Some of our main areas of teen counseling include low self-esteem, ADD/ADHD and behavioral problems. In today’s world of intense peer pressure and airbrushed celebrities, low self-esteem has become a very real problem among teens. Self-esteem refers to a collection of beliefs and feelings we have about ourselves. These beliefs affect our motivation, attitude and behavior and impact our ability to regulate our emotions effectively. Our teen counseling for Plainfield (IL), Oswego (IL) and Montgomery (IL) helps your teen examine personal beliefs and feelings and reframe them in a healthier way. We will also work with you and your partner to better understand your teen’s self-esteem issues and how you can contribute to resolving them. A diagnosis of ADD (Attention Deficit Disorder) or ADHD (Attention Deficit Hyperactivity Disorder) can likewise be a difficult time for teens and their families. Poor performance in school, social difficulties, poor organizational skills, a short attention span, high-risk behaviors and impulsivity are but a few symptoms that may indicate your teen is struggling with ADD or ADHD. Through our teen counseling for Oswego, Montgomery and Plainfield, you and your teen will receive the support, knowledge and compassion for adjusting to this diagnosis and learn how to manage it more effectively. Signs of behavioral problems can include temper tantrums and acting out, drug and alcohol use/abuse, and truancy or promiscuity. You might feel like you are losing your grip on the situation, but know that we are here to work with you and your teen. We will help you restore order in the home and teach you communication strategies that will support a closer, more fulfilling relationship moving forward. We will first help your teen to recognize and take ownership of their destructive behaviors. Your teen will then learn skills to manage and ultimately eliminate them. We will also work directly with you to better understand your teen’s behavior. You will be able to manage it with even greater effect and resolve as you move through the treatment process together and beyond. 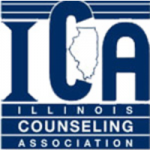 We are your caring professional resource for teen counseling in Plainfield, Oswego and Montgomery. If you would like to discuss what might be troubling your teen or learn more about our teen counseling, please contact us at (630) 779-0751. We are here for you. Most major insurance plans accepted; day, evening and weekend sessions available.